Volvo’s first L110H wheel loader in Australia puts in a quiet but powerful performance for composting company. C-Wise said the L110H’s OptiShift and dual-direction self-levelling bucket are boosting productivity at the compost facility. Powered by an 8-litre Tier 4 Final/Stage IV-compliant engine, the L110H wheel loader combines high performance with low emissions and low fuel consumption. 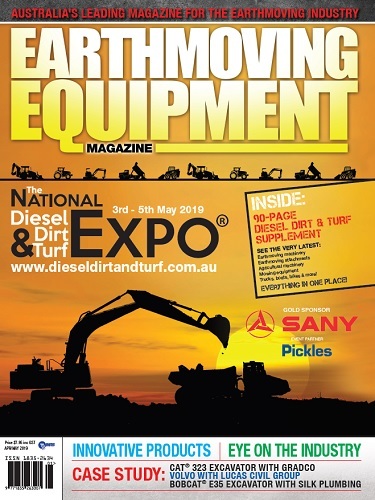 On a 100-acre organic composting facility in Nambeelup, Western Australia, a fleet of Volvo wheel loaders are humming along quietly, like worker bees rejuvenating nature, as they shift compost loads with an average bulk density of between 600kg to 1000kg per cubic metre. C-Wise is using the first L110H wheel loader in Australia solely for dispatching organic compost five to six days per week, for an average of 50 hours. 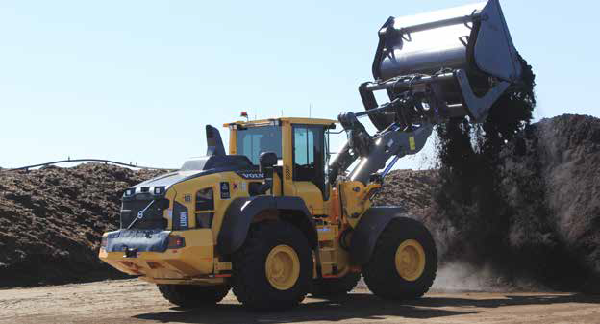 In addition to the new L110H wheel loader, C-Wise uses two Volvo L90Fs and an L110F to support the general composting process, moving batches at a cycle time between 30 seconds and two minutes, or loading a screening plant where the machine cycle times range between one and three minutes. The L110H features a new generation of Volvo’s OptiShift to improve cycle times and offer greater fuel efficiency. The improved technology integrates the Reverse By Braking function and the new torque converter with lock-up to create a direct drive between the engine and transmission, eliminating power losses in the torque convertor and reducing fuel consumption by up to 18 per cent. The L110H also offers a bucket levelling function that automatically returns the bucket to level from both dump and carry positions to enhance operator performance. Powered by an 8-litre Tier 4 Final/Stage IV-compliant engine with fully automatic regeneration, the L110H wheel loader features a bucket range between 2.5-9.5m3 and operating weight between 18 and 20 tonnes. Options on the L110H include Volvo’s dynamic load weighing system Load Assist, which is powered by Volvo’s Co-Pilot touchscreen. The system enables operators to monitor the amount of material moved with ±2 per cent accuracy and easily manage work orders – since the data can be stored and accessed remotely. Established in 1996, C-Wise recycles a wide variety of wastes into organic compost. The company is a leading Western Australian supplier of high quality carbon-based soil improvement products and embraces the concept that true sustainability is based around covering the bases of economic environmental and social responsibility. 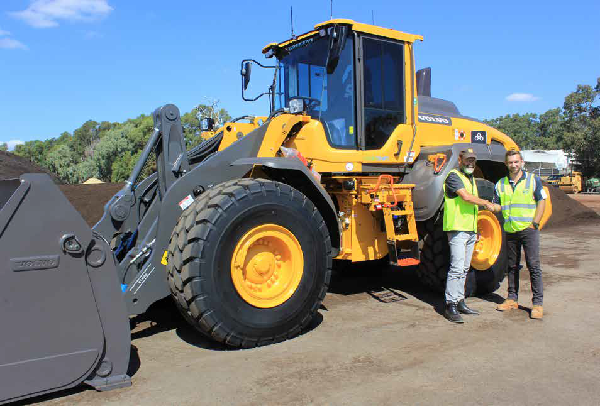 C-Wise purchased their wheel loaders from Volvo’s Australian distribution partnerCJD Equipment. 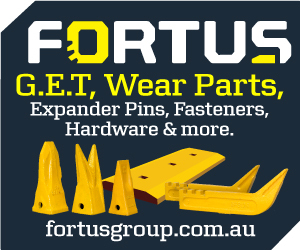 Founded in 1974, CJD Equipment is a privately owned Australian company whose core business involves the national distribution of construction equipment and trucks. CJD’s relationship with Volvo extends more than 25 years. 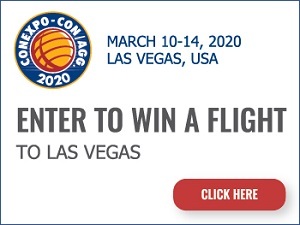 This strategic partnership provides businesses with access to Volvo’s ever-expanding line of construction equipment, with machines and features designed specifically to cater to the requirements of each particular industry segment. CJD Equipment’s dealer network is always there to support Volvo CE customers, with branches located throughout Australia. Together, Volvo and CJD Equipment offer a number of services including telematics machine monitoring and superb parts availability, as well as local knowledge and global experience. All of which optimises productivity, while minimising operational costs. 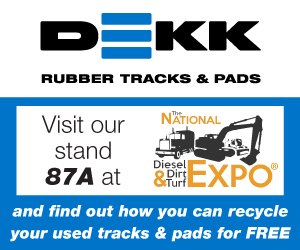 For more information visit www.cjd.com.au or call 1300 139 804.